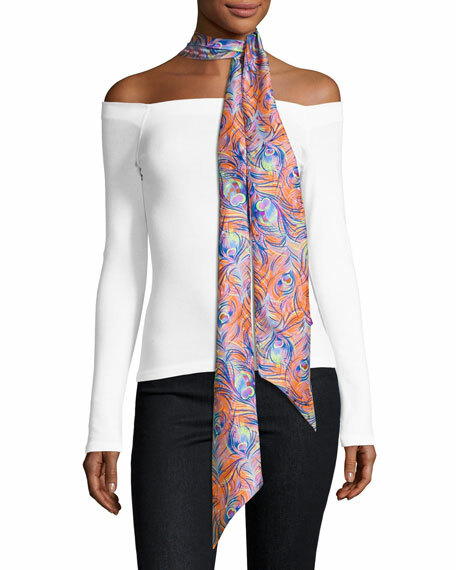 Liberty London "Pandora" skinny scarf in silk with feather print. Approx. 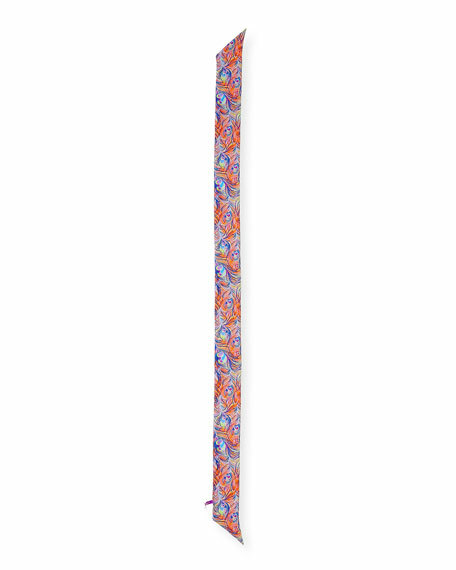 79"L x 4"W (200 x 10cm). 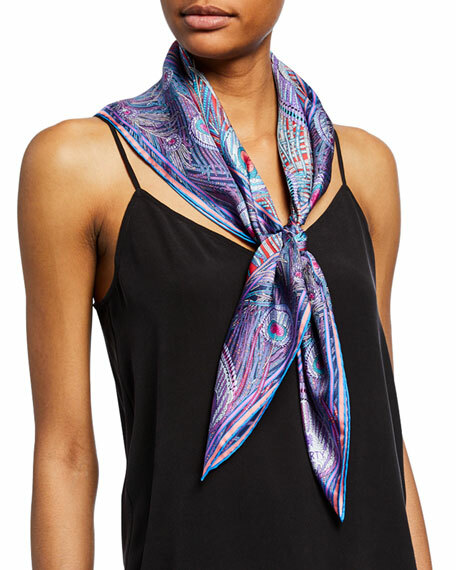 Wrap multiple times around neck for a layered effect. 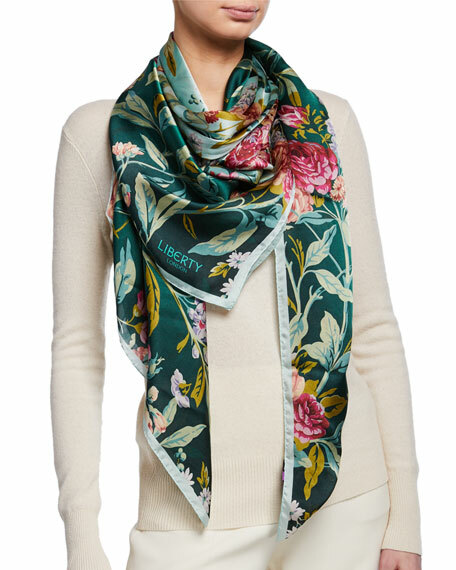 For in-store inquiries, use sku #2138326. 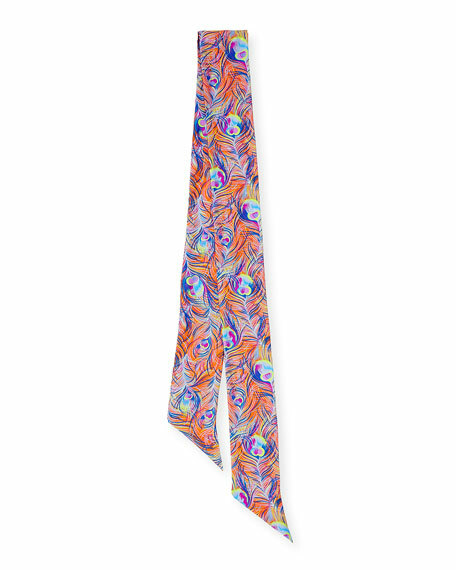 Liberty London "Hera" printed scarf. Approx. 35.4" (90cm) square. Lightweight, seasonless fabric. May be styled multiple ways. Finished edges. Silk. Made in Italy.